Seniors or elderly adults are more prone in suffering from physical disabilities, as well as effects in the deterioration of certain brain functions. 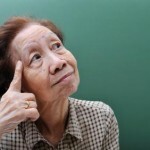 Deterioration of the brain’s function can start as early as 30 years old, however, keeping the brain function at its best by doing or following stimulating activities that will always put the mind and all cognitive skill into work as early as possible, since it can help in wavering off deterioration of the brain, as well as preventing age related mental conditions, including Alzheimer’s disease and Dementia. 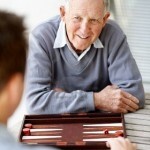 For seniors, engaging in brain activities or games is very important to keep their mental sharpness and improve their overall wellbeing. 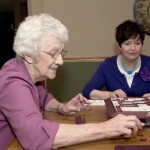 Even playing different board games or even playing games online can help in stimulating seniors’ brain functions, which they can gain several health benefits. Checkers, which is also known as English draughts, is a type of board game that involves two players playing against each other. It is an abstract strategy board game that is involves diagonal moves of similar puzzle pieces, and jumping over the other player’s puzzle piece is needed, in order to capture or “eat” their puzzle pieces. One player will used dark-colored puzzle pieces, while the other player will be using the light-colored puzzle pieces. Most of the time, the player who is using the dark-colored puzzle piece makes the first move of the game unless stated otherwise. The winner of the game is determined if who will be able to claim all his or her opponent’s puzzle pieces, or if the other player has no possible moves to make. 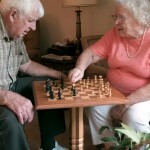 Seniors who play checkers (English Draughts) or other strategy board games can really stimulate their brains, since it is very good for building good critical thinking skill and other cognitive functions. 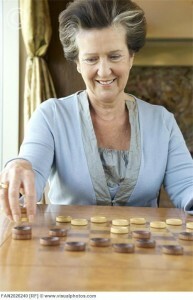 Although checkers is a kind of board game that is simple, it can be a very great way to keep seniors mentally sharp for the longest time possible. Seniors engaging in activities that can put their brains’ at work can help in promoting healthy brain function, thus preventing or decreases deterioration of their brain. Checkers is not just an ordinary board game that can be played by anyone from different age groups, it is also a board game that is very enjoyable and fun to play, and it can also improve and promote social interaction, since it is played by opposing players. 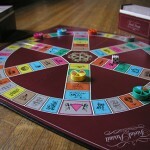 There are in fact many other board games and activities that can help in promoting social interaction, as well as promoting healthy brain function. 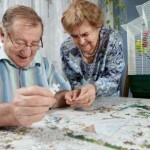 Please also see other brain games & puzzles, games for seniors, or browse the entire activities for seniors website for fun, ideas and interesting articles.